With globalization and stiff competition, quality standards became very tough as we entered the 21st century. Keeping up with the positive trend, Sodis pour le commerce is maintaining and quantifying quality with uncertainty measurements which is a continuous challenge, we make sure we provide time-bound, professional services that go beyond international standards and market expectations to meet our challenges with nothing but excellence in our work. The fruit of our on-going professional and successful business efforts showed when, Sodis pour le Commerce received the international quality ERA in May 2017, in Geneva. Sodis pour le commerce became a member of the BID community, thus providing it with the advantage of the QC100 model, a compendium of the criteria on which the quality award is based. 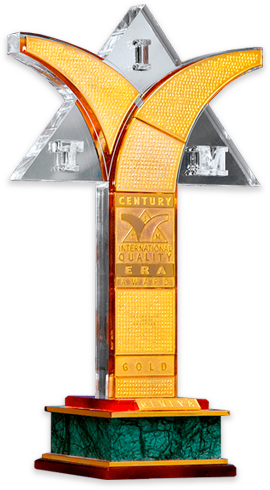 It is widely-recognized as one of the best-known TQMC Total Quality Management) models. BID disseminates quality culture in order to strengthen growth and sustainability as well as to provide job creation and financial success.